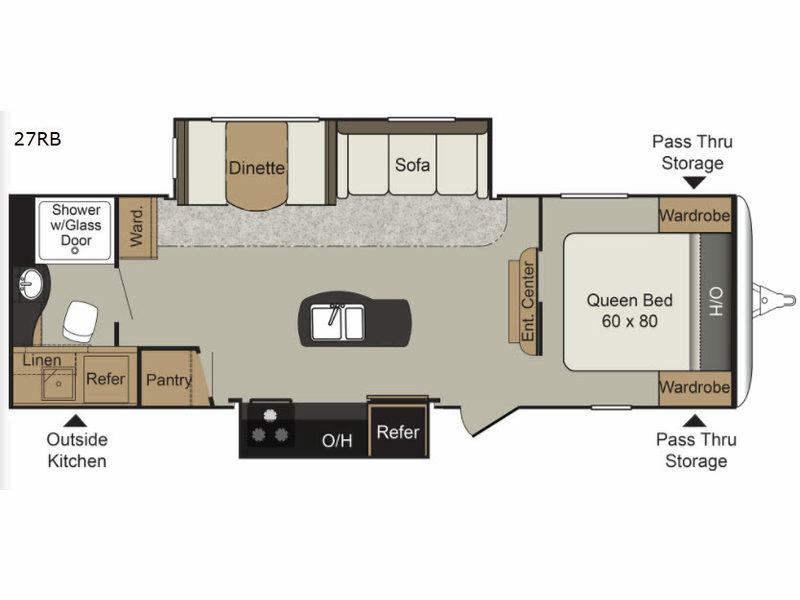 With this Passport Elite travel trailer you will be able to travel away from home without losing the comforts of home. The front, private bedroom allows you to escape from the chaos of the trip each evening in order to refresh yourself for upcoming excursions, and the rear bathroom gives you an extra bit of privacy so that you can comfortably prepare yourself for the day. You won't miss out on a single hot meal while traveling in this trailer because it comes equipped with a 3-burner range top, 6 cubic foot double-door refrigerator, and a large pantry. When you own a unit like this Keystone travel trailer, you own a piece of luxury that you can take along with you wherever you adventure next. 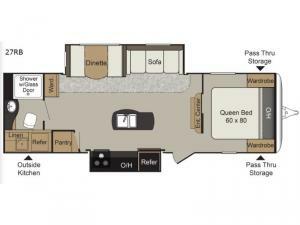 Because of the 6' 8" vaulted ceilings, this trailer provides a spacious atmosphere for you to live in while you travel, and the 60" x 80" queen-size mattress gives you more space to sleep than a traditional RV mattress does. The large wardrobes that have been included in this trailer allow you to store more garments and outdoor accessories for your trip ahead, and the upgraded window treatments and leather furniture give this entire unit a modern look and stylish design.